The apple is a popular pomaceous fruit that is valued for its extended storage life and high yields. The fruit is known scientifically as Malus domestica, and is part of the Rosaceae family. There are a minimum of 8,000 different varieties of the fruit in existence. The apple is native to central Asia, and is one of the most widely-cultivated fruits on the planet. It is highly disease resistant and prized for its flavor, which is either tart or sweet. The apple has a round shape. The top has a depression (near where the stem is connected). Some varieties of apples are almost entirely round, while other types are narrow around the bottom and thinner at the top. 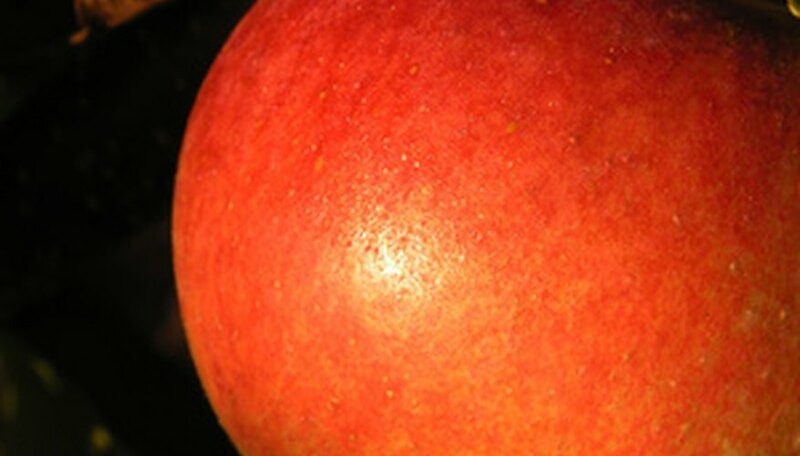 Apples can come in various different colors, most commonly red or green. However, yellow and bicolored apples also exist. The flesh of the fruit is either ivory or white. The apple is cultivated on deciduous and small trees. The trees can grow to be between 10 and 40 feet in height. Their crowns are broad and full of twigs. Apple trees have alternate leaves with oval shapes. The leaves are between 2 and 5 inches in length and 1 and 3 inches in width. The tree bears white flowers with pink tinging (the pink gradually fades out). Five petals are on each of the flowers. The apple does well in soil that is loamy, deep and well-drained. A pH range of between six and seven is ideal for apple cultivation. The apple is grown on a diverse array of soils. It is also highly adaptable to various different climates, but thrives in temperate and cool regions. The apple is extremely hardy towards the cold, and bloom comparatively late, making it suitable to northern areas. The fruit become mature approximately 120 to 150 days after blooming. Some varieties reach maturity in just 70 days, however, and, at the opposite end of the spectrum, others can take up to 170 days.